When it comes to exercises that seem like no brainers it would seem squats would be darn near top of the list! However, for fitness professionals and enthusiasts alike, squats can be one of those exercises that just drive you up the wall. I remember being SOOOOO frustrated in trying to find ways to help people learn perform squats well and quickly. Sure, I did all the stretching, corrective exercise, you name it! I knew squats were great for my clients, but it was just never quite clicking for so many of them no matter what strategy I tried. Even when I tried more trendy versions like suspended supported squats there seemed to be a big jump to not being supported. Goblet squats were great, in just not making people hurt but so many people were still leaning too much, collapsing, and unable to make much progress in our squat training. That is why I often say the biggest blessing of my life was going through the injuries I did. Starting from basically square one helped me relate to a lot of the challenges that my clients experienced. Sometimes when you train for a long time you forget about the things you do innately that you don’t realize are important to teach others. Not being able to really squat at all to making progress in about six weeks on the right taught me some extremely valuable lessons when it came to understand how to nail squats and to actually feel GOOD while you do them! After having a spinal fusion where they went through the front of my body, my core was as weak as you might think it would! Equivalent to almost having a c-section, my abdominal wall was completely weakened by the surgery. I quickly learned how important creating tension in the core was to squatting right. We usually think of squats as only a leg exercise but the reality they are whole body exercises. How? 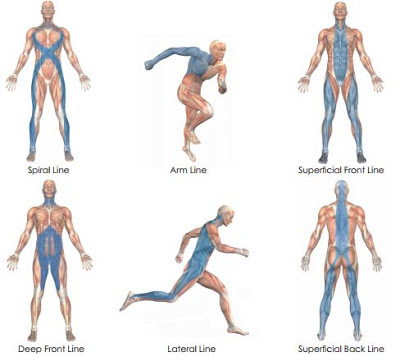 If you look at how our bodies are designed for movement they aren’t a Frankenstein random collection of muscles. Rather, our body is a highly orchestrated series of connections that probably are better compared to pulling a string on a sweater. You know that string that looks rather innocent but if you pull on it the whole sweater starts to come apart! Well, that is a lot like your body! As renowned strength coach, Mike Boyle, points out, your legs can only really develop the force that your core will stabilize for the lower body to produce! That is why creating tension through the core through different means is so important in creating a good squat! Our DVRT Ultimate Sandbag Training Press Out Squats are a great example of something that looks, well, “eh” and then you do it and you are like “HOLY CRAP”. Of course that is assuming you do it with the right intent. That means actively squeezing and trying to break apart the Ultimate Sandbag and timing the press out with your squat. You should at the end of the movement see the crease of your elbows point up and your arms locked. You should feel your lats, core, as well as your legs working hard! What DVRT Master, Greg Gergely Perlaki, shows with combining our Ultimate Sandbag Training Press out Squats with lateral band walks is a great way to get the body either learning how to squat or to prep the body for more advanced squats. 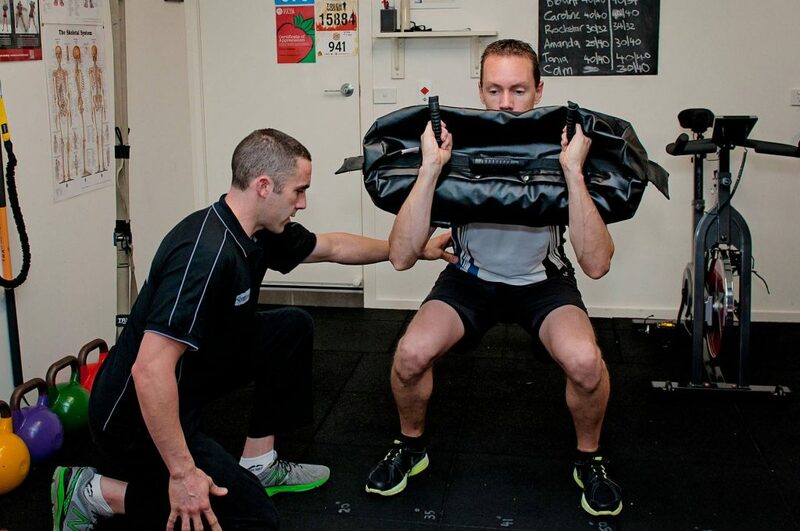 One of our DVRT Ultimate Sandbag Training concepts that really floor people is that we just don’t hold the weight when we train, we use it specifically to connect the body more efficiently. For us, changing holding position of the Ultimate Sandbag changes the exercise, but also allows us to train different fitness qualities. For example, our DVRT Bear Hug Squat looks simple, it looks maybe even like a goblet squat. However, it is VERY different because of the shape, weight distribution, and what we can do with the weight when you use it. You see when DVRT Master, Larisa Lotz, creates tension against the Ultimate Sandbag (trying again to rip it apart with her arms) it locks in her core, lats, and allows her to keep a far more upright torso. Now her legs are getting hit hard, her glutes are getting strong, and she is developing better flexibility the whole time. Smaller Ultimate Sandbags like our Core don’t allow for this so that is why Press Outs are more ideal and bigger Ultimate Sandbags work so much better. Unlike goblet squats where the arms become the limiting factor as the weight gets heavier, bigger Ultimate Sandbags almost feel more comfortable because you can make them MORE part of your body! So many people believe squats begin with bending their hips or knees first. In reality, you have establish a great foundation first! That means setting up your feet before anything else starts moving. Simply think of your feet as the foundation to your building. If your foundation is faulty or isn’t working then you won’t have a strong building. What are you trying to do with your feet? You want to slightly turn them out so that your legs can follow making room for your pelvis. That is just the start though, you want to grab the ground with your feet as though if your feet were your hands trying to climb up something. All of a sudden you will feel your glutes tighten, your core get a bit more stable and your squat “magically” gets way easier and feels better! I always tell people to aim for “scrunchy” feet. You see squats just like any exercise takes a little “know how” of the body to all of a sudden transform from an exercise that you may have dreaded teaching or using to one that you actually enjoy. Especially for those that may have believed that squats weren’t possible because of bad knees or low backs and you open up a whole new world to them. That’s pretty darn cool and what DVRT Ultimate Sandbag Training is all about!